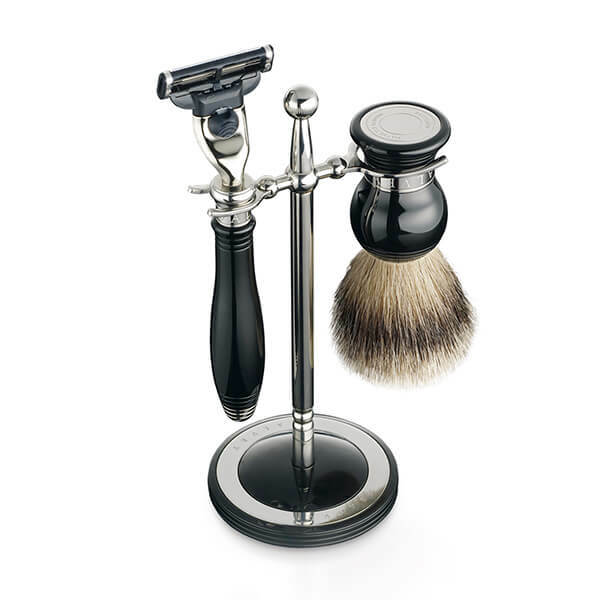 The Razor and “Super” badger brush hang from this elegant stainless steel and precious resin stand. Gillette® Mach3™ razor head included. Super Badger Brush – A pure mix of stiffer hair to exfoliate the skin.